When looking into the more long-term effects of the hunting, a plethora of positive side effects begin to emerge: increased bald eagle populations, stabilized river banks, reforestation, increased vegetation, and more. Because one deer dies, wolves, bears, beavers, birds and nature in general flourish. It was emotional to watch this short movie, how the animals ‘deal’ with each other and with nature; this cannot be said of human being, unfortunately. I still think it’s human being who is throwing nature into chaos, not animals. There are plenty TV channels who broadcast rubbish; they should broadcast more of these nature movies, because we ALL live in it, we are part of it. Great story! 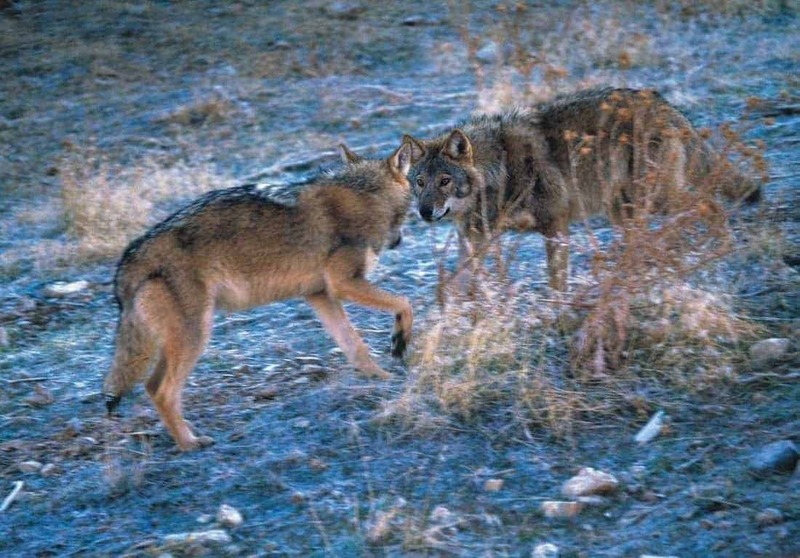 Do you know if there are some ecological studies about Europe which highlight the positive correlation between presence of wolves and other ecological components? Yes you’re absolutely right! We-people, and even more managers, have often temptation to simplify things to make our decisions much more clear and straightforward. Nevertheless, the consequences can be devastating. Ecosystem dynamism is not a simple business case. Thanks, wonderfull story! It reminds me of Alston Chase’ famous book “Playing God in Yellowstone” which lists the incredible management errors of the Park Service over decades and the effects of the “devastating” fire events that radically altered the park and restored ecosystem dynamics that man suppressed by its errors. This new film also gives a message to European wilderness management that is suppressed by stupid hunting concepts and laws. All hunters should be replaced by wolves! you aare absolutely right. If you tell someone that Wolves change the flow of rivers, everybody will think you are crazy. The reality is, that we seldom understand the interactions in our ecosystems. It is these findings that need to be communicated so please spread the word and our link to friends an colleagues. Thank you very much. By the way, have you already read our new quarterly European Wilderness Journal. Here we have the subscription info already on the website and this even includes a small donation for our work. This video shows how everything is connected. It seams like that in US they are much more aware about protection of wild places. Hope your initiative will help European people to more understand and value our natural treasures. Very nice document. Thx for sharing.